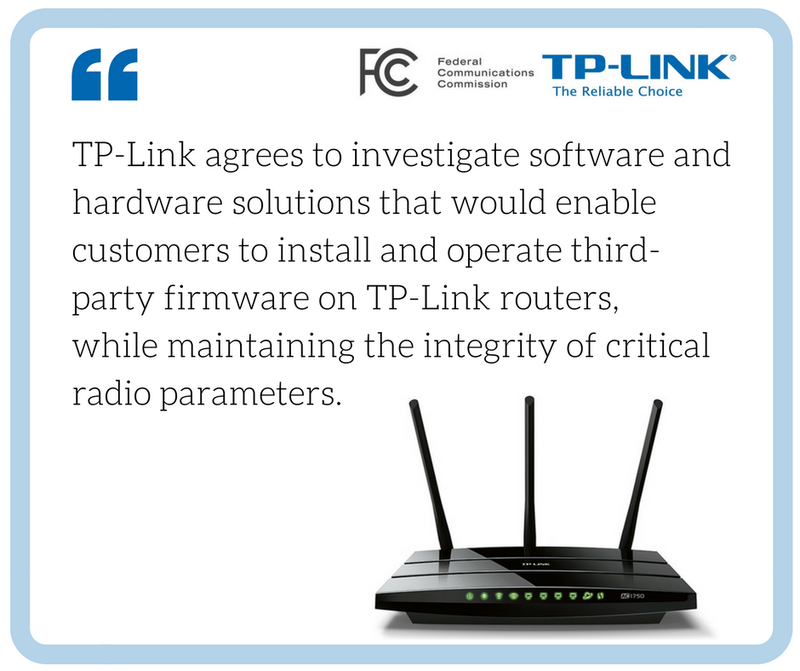 The FCC (Federal Communication Commission) announced a settlement yesterday with TP-Link, that forces the company to make their equipment compliant with FCC rules, and to allow their consumers to install third-party open-source firmware on their routers. The globally-known router vendor TP-Link will be forced to manufacture routers open to flashing with third-party firmware, like openWRT and ddWRT open-source firmware. This is what the FCC states in a settlement reached with the chinese company about respecting the agency rules on routers’ power level. TP-Link now has two years to make all their 5GhZ products compliant with the FCC settlement. With this settlement, the FCC did something unprecedented and in some way it mended the problem it had caused in July 2015, when it mistakenly suggested that it was going to ban third-party router firmware. After the proposal for new regulations, vendors reacted in very different ways. While TP-Link blocked all third-party firmware, Linksys decided to make the WRT series compatible with openWRT and ddWRT. This settlement (click there to download the complete FCC / TP-Link settlement) finally confirms that the FCC did not have the specific intention of banning third party router firmware.